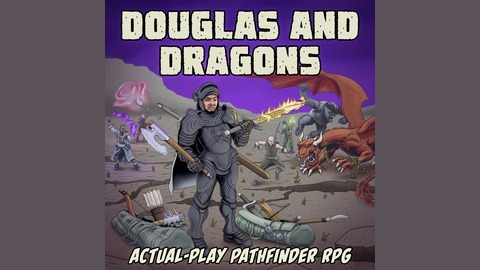 A weekly actual-play Pathfinder podcast. Indie comicbook creators from around the US getting together to make jokes and roll virtual dice. Adventures created by John Bunger, set in the Pathfinder Campaign Setting. 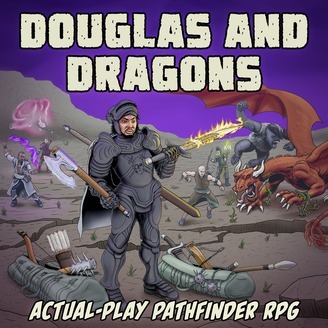 This is the new, valid feed for Douglas and Dragons! The guys start their trek into the Churlwood Forest to find Malgunta. Excellent background music and ambiance from TabletopAudio!